Huzzah! Finally my latest video is up on YouTube! 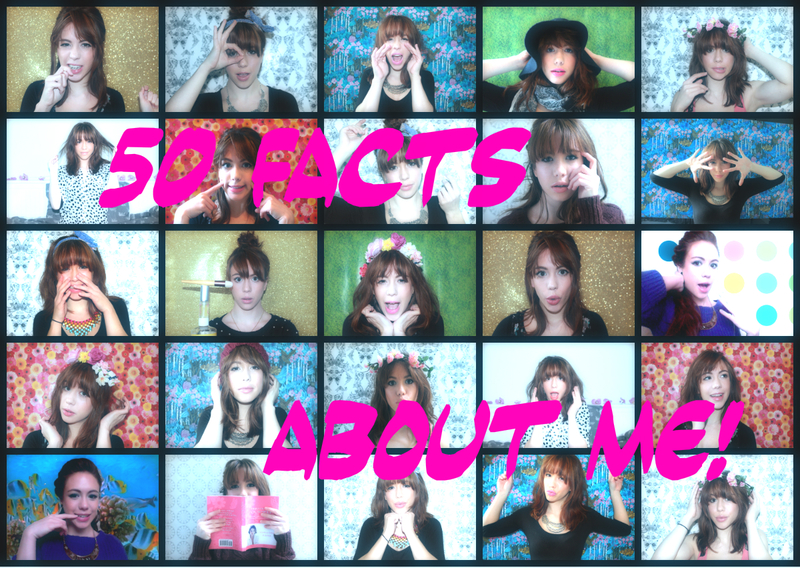 So lately i've been thinking how very little you guys and youtube viewers know about me. Now obviously i'm not going to be sitting down and sharing all my deep dark secrets and crazy life stories, so i thought i'd do a humorous one instead. 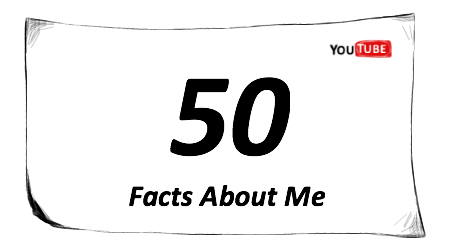 So please enjoy learning 50 weird, wild and wonderful facts about me that you never knew you needed to know! Really I just wanted to share a little bit about me and bring a little cheer to someones day…it is spring now after all so things are looking slightly brighter! Click the picture below, you know what to do! As always leave me comments, i love reading them, and i bet this video will bring out some funny ones!